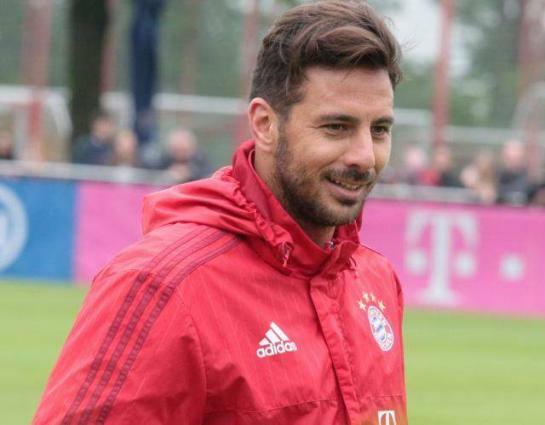 Berlin, (UrduPoint / Pakistan Point News - APP - 17th Apr, 2019 ) :Bayern Munich will offer veteran striker Claudio Pizarro a role as club ambassador once the evergreen 40-year-old Peruvian finally ends his playing career, club CEO Karl-Heinz Rummenigge said Wednesday. Pizarro is the second highest scoring foreigner in Bundesliga history with 195 goals in 468 league appearances - only Bayern's Robert Lewandowski, currently on 201 goals, has scored more in Germany's top flight. "We have agreed with Claudio that he can come back and take on a role as a club ambassador when he actually does stop playing," said Rummenigge. "As far as I know, he still has a house in Munich and his family always felt very at home here." Several former Bayern players, including Bixente Lizarazu and Giovane Elber, are active as official Bayern ambassadors, a role which involves representing the club and the brand at publicity events across the world.